How can museums benefit from Digital Asset Management? You might associate museums with ancient artefacts and antiques, but that doesn't mean they have to be just as old-fashioned behind the scenes. In fact, many institutions are turning to the latest digital technologies to help them manage valuable assets more effectively. It's not just collectable items that need cataloguing within museums. Most institutions have hundreds, if not thousands, of important media files - from event video content to staff photographs - that are currently not being stored in a cohesive manner. Digital Asset Management (DAM) software can completely transform the way museum staff manage rich media files, bringing them into one central location so that personnel across the organisation can easily upload, share and access assets, whenever they need them. 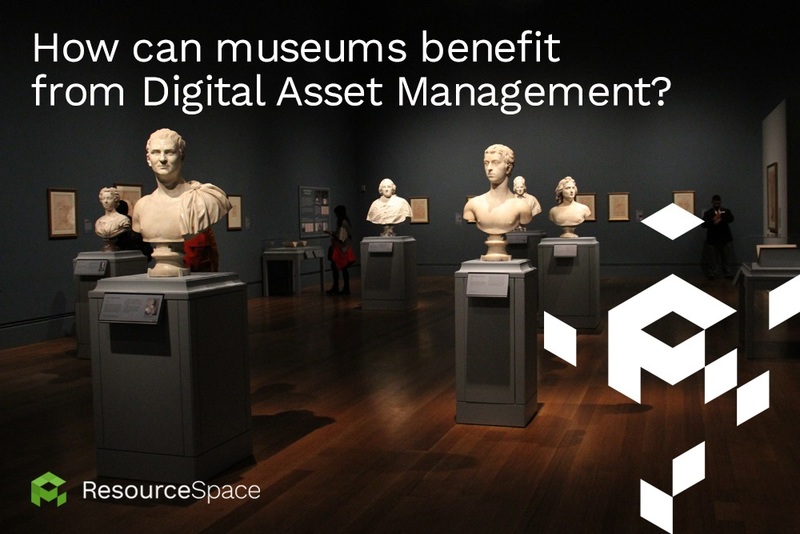 Why should museums use Digital Asset Management software? There are many reasons that museums choose to roll-out DAM software to manage their media files. Most do so for ease of use; at the click of a button, important videos and photographs can be uploaded, catalogued and stored in a location that is easy for others to locate. This makes sharing and using digital assets much quicker. The most important thing for any museum considering digital migration to bear in mind is that they need to find the right DAM software for their needs, in order to maximise their return on investment. What should museums look for when choosing new DAM software? While most DAM software solutions may seem similar on the surface, delve a little deeper and museum decision-makers will find certain providers offer greater value for money than others. For example, many DAM software companies will offer an 'off the shelf' solution that can be used by any type of business. However, for best results, museum curators and archivists should look for providers that have worked with other organisations in their sector, so understand the unique requirements of cataloguing and sharing media relating to priceless artefacts, or important company moments. In addition, it's very easy to start off with a solution that seems cost-effective, but becomes a lot more expensive when tailored options are added in. The right software should enable museum staff to manage important media easily and effectively, without becoming a huge drain on cost or resources. Not only that, but good DAM software will be able to integrate easily with Collection Management Systems that are already in use - such as The Museum System (TBS) or Emu - to make synchronising and transferring critical data easy to achieve. TMS and Emu are two of the museum industry's most popular platforms for curating data on artefacts and collection. Integrating these systems with DAM software will enable museum staff to tag imagery more accurately and easily, and even upload supporting video imagery, all while synchronising these media files with essential object cataloguing data. Any institution seeking an experienced DAM software provider with a proven track record in the museum industry should look no further than ResourceSpace. We have helped many organisations improve the way they manage essential media assets, including The Walters Art Museum in Baltimore, USA. To discover how DAM software can benefit your museum, sign up for a free ResourceSpace trial, or visit our museums page, where we talk more about our work in this sector.